Producer/DJ Kid Sundance from Eindhoven has been a household name in the Dutch Hip-hop/music-scene since the mid-80’s. He is co-founder of Boomoperators. Worked with Dudley Perkins and Busy Bee. He shared the stage with well-known Jazz-cats such as Benjamin Herman, Anton Goudsmit and Edward Capel. And ‘the Kid’ released music on the superb Japanese label Jazzy Sport. His style is raw, atmospheric, on the edge of tradition and experiment. August 2012 he will release his solo debut Kid’s Colors. A modern variant on the 70’s and 80’s library-records and a mix of Jazzy Hip-hop, Funk, a pinch of Afro & Brasil and early 80’s synth-sounds. The record will be released on 12-inch vinyl. Of course it needs an eye-popping sleeve. Graphic designer Mister Adam & illustrator Dees made a black and white version. But, we want you to finalize the cover and color the sleeve! Download the cover (PDF-format 20 x 20 cm or 31.5 x 31.5 cm) and paint it on your laptop, iPad, Homecomputer or even better: color it analog with the use of pencils, brushes or any other material you can think of. Send the result to Fremdtunes HQ before June 15th 2012. 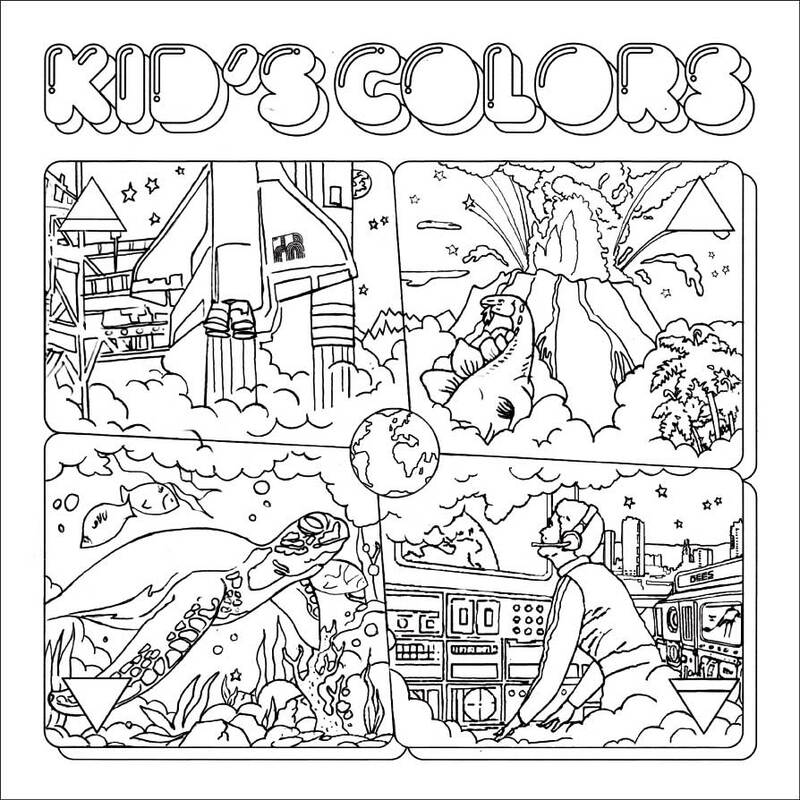 The most eye-catching submission will be used for the final cover and the winner will be rewarded a prize package containing: your name on the record, 1 x Kid’s Colors on 12-inch and a Fremdtunes T-shirt. And, to add even more fun to the contest, all submissions will be featured on www.fremdtunes.com. Plus: the ‘runner up’ gets a free Fremdtunes T-shirt.